If you’re new to the concept of energy efficient home design, you may have some misconceptions. It’s important to recognize that energy-efficient home design is no different than traditional home design when it comes to functionality and aesthetic appeal. The difference is reduced energy usage, improved efficiency, and enhanced home comfort. Well-chosen materials: The materials used in the home can affect efficiency on many levels — from energy efficiency to cost efficiency. Simpler materials using proven construction techniques often work best. Standard 2 x 6 wood walls and framing, along with trusses for roofs and floors, can be cost efficient while providing a traditional framework that aids energy efficiency. Conservation of space: Smaller spaces use less energy because they’re typically easier to heat and cool. Large homes require more energy for heating and cooling and often have lesser-used areas where energy is wasted. Energy efficient design involves thoughtfully creating spaces that minimize waste, both in space and energy. Plenty of insulation: Insulation helps resist the flow of heat, keeping the home’s interior cool in the summer and warm in the winter. Make sure the design calls for adequate insulation in the walls, floors, roof and ceilings. 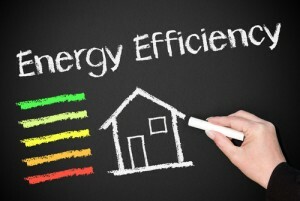 Efficient windows: Include energy-efficient windows in home design. Many types of modern windows include features that are intended to conserve energy, such as tight seals, double-pane construction and low-e glass. Energy-efficient windows will stop air leaks and energy loss around the windows and will prevent excess heat gain inside the building. Sage Builders LLC serves the Newton MA area with professional residential design, construction and renovation. Contact us today for more information on energy efficient home design and how effective design can produce a beautiful residence with the highest level of efficiency and comfort. Previous PostWhat Renewable Energy Options Are Available for Newton MA Homes?